Lisa Vetere, President of WICT Greater Philadelphia, is Senior Director of Financial Operations at Comcast Headquarters. For the past 10 years, Lisa has been dedicated to Finance in the cable industry through her multiple FP&A positions within different areas of Comcast learning the business from the perspective of the Division, Region, and Headquarters.Lisa joined Comcast in 2009 in the former Eastern Division and has worked in the Freedom Region along with holding Headquarters positions with increasing responsibility. In Lisa’s current role she is responsible for all aspects of capital planning, management, and analysis including long range plan, annual budgets, and monthly forecasts where she’s a key point of contact for Headquarters and Division Finance teams on capital. 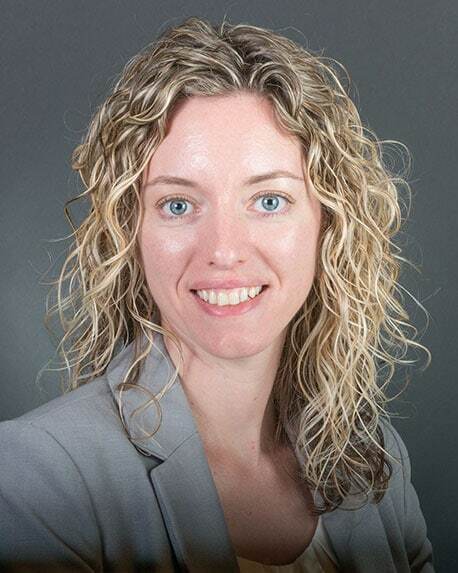 In 2018, Lisa was awarded first place in the “Finance Idea” competition within the Finance Operations Organization.Lisa is very passionate about the WICT Greater Philadelphia Chapter and has been a member for 10 years and has been serving on the board for 7 years in multiple roles including Treasurer, Operations Chair, and Vice President. She was selected to participate in the 2013 WICT Rising Leaders Program, 2014 Harvard University Negotiation Program, and 2016 Executive Development Series.In addition to WICT Board roles, she has volunteered on Comcast Women’s Network Board as Communications Co-Lead in 2014/2015. Lisa is currently a mentor in the Comcast Finance Organization Mentor Program. She is looking forward to continuing to give back and paying it forward! Lisa enjoys spending quality time with her family and enjoying life’s little moments. 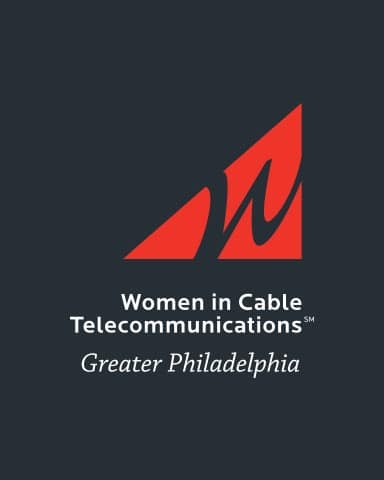 Carol Ann Sweeney, Senior Manager of Business Operations at Arris, is the Programming Chair for Women in Cable Telecommunications (WICT) Greater Philadelphia Chapter.Carol Ann recently took a position at Arris as Senior Manager of Business Operations in the Global Services organization. In this role, she is responsible for maintaining vendor relationships with 3rd party partners and working with internal teams to determine requirements so they can be effectively communicated. She negotiates agreements with vendors of Arris, as well as with Arris customers. She is actively involved in the sourcing, onboarding, and reporting of the contractor workforce. She is involved in international vendor relationships and contract management. She works closely with Procurement, Legal, and Sales groups to ensure that all terms and conditions are met in order to comply with customer requirements and expectations.Carol Ann worked at Comcast Cable Communications for 8 years, most recently as Senior Manager, Procurement. In this role, she worked with Comcast’s vendors negotiating the most optimal terms & conditions, and pricing for Comcast. She also monitored vendor compliance to contractual commitments. She managed online RFIs/RFPs (Request for Information/Request for Proposals) for the Comcast Engineering community. Tracking Purchase Orders and Invoice payments were also a part of her responsibilities. She also worked with multiple organizations within Comcast in annual budgeting, specifically related to maintenance and support renewals.Prior to joining the cable industry, Carol Ann worked with a national sales team of a distribution and service company. She has more than 10 years of management experience in contract negotiations, budgeting, and communications.Carol Ann has been an active member of WICT for 5 years. In addition to acting as Programming Chair, she also assists at Chapter events and has participated as a Mentee and Mentor in the Mentoring Program. The networking and relationships that she has forged from being part of this program are invaluable. She especially enjoys the annual Fall fundraiser when WICT has an opportunity to give back to a local charity.Carol Ann earned her Bachelor of Science degree from The Pennsylvania State University. She resides in New Jersey with her husband and 3 children. 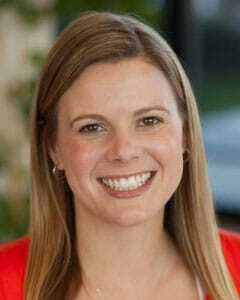 Tracey Kopper-Hourin is the Vice President, Human Resources for Comcast’s Advanced Advertising organization. In her role, Tracey leads the Human Resources business partnership for the Global teams focusing on organizational design and effectiveness, talent management, integration and employee engagement. Tracey joined Comcast in 2006 and has worked in the field as well as headquarters roles of increasing responsibility. Previous to joining Comcast, she worked in the Financial Services and telecommunications industries in New York and Philadelphia. Tracey received her undergraduate and graduate degrees from Temple University.She is a member of both Women in Cable and Telecommunications (WICT) and the Society of Cable Telecommunications Engineers (SCTE) and has served on the board of WICT Philadelphia since 2010. She is a Big Sister through Big Sisters Big Brothers of Southeastern Pennsylvania, a member of Society of Human Resources Management, and an active volunteer in her community. She is a leader of the Comcast Running Club, a member of the Employee Resources Groups at Comcast, and a fellow of BMLI Class 30. Tracey resides with her husband and children in New Jersey. Marge Jackson is a senior executive with a 20-year proven track record of sales, marketing & care operations experience for Comcast HQ Sales and Marketing team. Marge has oversight for sales strategy for more than 3k Inbound and outbound sales agents, handling over 12 million calls annually across 16+ call centers. Marge is responsible for setting the strategic vision to deliver a superior customer sales experience, build customer loyalty, and drive sales growth and revenue through people, processes, tools, and technology. Specifically, Marge partners with divisions and region leaders to align customer and sales strategies with corporate goals and drives major initiatives across the enterprise.In her previous role, Marge Jackson was Vice President Customer Care Sales & Retention West Division. In this role, she had oversight for customer experience sales and loyalty strategy. Marge was responsible for the development of a unified sales and retention strategy. Her primary focus was on centralizing and standardizing compensation plans, call routing strategies, scorecard performance metrics, and agent development.Marge joined Comcast in 1998 as a direct sales representative for Comcast Online and went on to hold a host of positions in the field across all 3 divisions with increasing responsibility. Marge continues to be recognized by peers and colleagues as an industry leader and top woman/minority in business. She was named to Multichannel News’ “40 Under 40” list, Most Influential Leaders and was honored by NJ Biz as one of its "50 Best Women in Business.” Jackson was one of only 30 candidates selected for the National Association for Multi-Ethnicity in Communication’s (NAMIC) Executive Leadership Development Program, was a recipient of NAMIC’s “Next Generation Leaders” award and was selected as one of CableFax’s “Most Powerful Woman in Cable.” Jackson is also a graduate of the Comcast Executive Leadership Forum (ELF), an active member of CTAM and WICT, a graduate of WICT’s prestigious Betsy Magness Leadership Institute as a Class of XVII fellow, a graduate of the Comcast Woman Leadership program at Wharton University, and most recently a graduate of the CTAM Executive Program at Harvard University. Jodi has over 20 years of sales and business development experience helping to grow some of the industry’s most widely-recognized brands including the Xfinity X1 platform, the TV Guide Network and Interactive Guides, the Starz! Movie Channels, and the Courtroom Television Network (Court TV).Jodi is currently responsible for development of the ARRIS partnership with Comcast Business Services. ARRIS is providing infrastructure, software and technical support services for managed network routing, Wi-Fi, and other cloud-based business intelligence management tools. Jodi works closely with various Comcast stakeholders to ensure solutions are technically aligned, cost-effective, flexible and fast to market. Prior to her role in business services, Jodi was VP of Customer Premise Equipment Sales managing the ARRIS Broadband and video product portfolio for ARRIS’s largest account. With over 20 million devices in Comcast’s network, ARRIS plays an integral part in the way consumers connect to each other and to their content.Jodi has been an active WICT member since she started in the cable industry. A leader for the Philadelphia Chapter, Jodi has held positions as President as well as Programming, Sponsorship and Tech-it-Out Chairs. She also volunteers in the chapter’s mentoring program. As Chapter President, she created the first awards recognition event recognizing Philadelphia industry leaders who have supported WICT’s mission and helped women rise as leaders in their organizations. “WICT Philly Gives Back” is now one of the Chapter’s signature events recognizing these champions while also supporting Girl’s, Inc, a local, non-profit organization helping young girls develop leadership skills.Jodi is passionate about the benefits of WICT membership and has participated in many national programs including the Leadership Conference and the Executive Development Seminar. 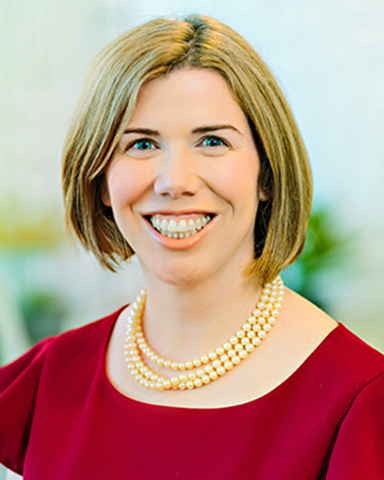 She is a member of Class 22 of the Betsy Magness Leadership Institute and recently received the outstanding “Communicator” Award from her fellow Philadelphia board members.Before entering the cable industry, Jodi practiced law in NYC. She has her JD from New York Law School and was admitted to the bar in NY and NJ. She has a Bachelor of Science in Business and Economics from Lehigh University. 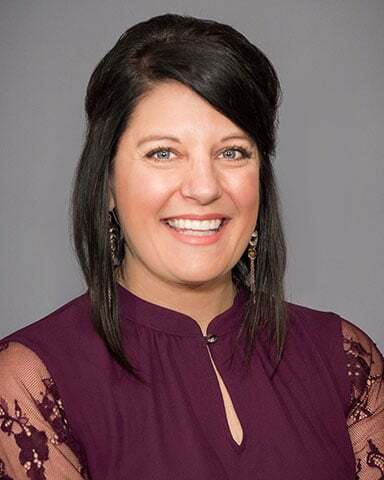 2019 will also be Jodi’s 10th year as a volunteer in the Big Brother/Big Sister program.Jodi lives in Ardmore, PA and is looking forward to working with the remarkable industry leaders who serve on the WICT National Board and continue to help develop leaders who transform our industry. As part of Comcast Cable’s Technology, Product & Experience Organization, Jacquelyn Smith is Executive Director, Enterprise Solutions. Her current responsibilities include leading and management of the OASIS - Optimizing Applications Strategy Integrations & Support team, implementation and management of enterprise support tools and financial management of the application systems. Jacquelyn’s team is responsible for the lifecycle of these applications including design, development and deployment across various Comcast lines of Business. 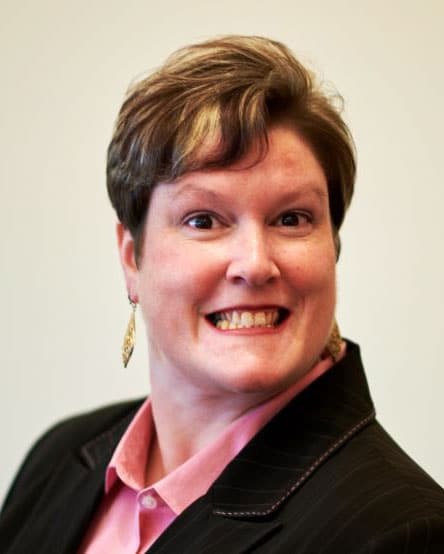 Some of these applications include, Slack, Salesforce, JIRA, Confluence, Rally, Github, Nexus etc.Jacquelyn has 20+ years of experience in operations, applications and program management. Jacquelyn has been with Comcast for ~13 years and previously held the positions of Sr. Director, Platform Technologies, Director, Software and Platform Engineering, Product Engineering and Sr. Manager, Program Planning & Project Management in Comcast’s Quality Assurance team. Prior to working at Comcast, Jacquelyn worked as Assistant Director of IT at Hunter College in New York City and as Manager, Network Services, Operations & Program Management with Flextronics, in Dallas Texas.Jacquelyn served as the 2016, National Liaison for the Comcast Women’s Network, supporting national program development. Jacquelyn is also a member of the Comcast Employee Resource Groups. Jacquelyn lead the Comcast NE&TO Women’s forum in 2012/2013 and the Product Engineering Women’s Forum in 2010 /2011 and has severed on the NE&TO Inclusion team from 2010-2014. Jacquelyn has volunteered time with Women in Cable Telecommunications (WICT), a national non-profit organization that has been serving women in the cable industry for 30 years. Jacquelyn is currently serving on the WICT Philadelphia Board of Directors, as an Executive Champion and in 2016, 2017 & 2018 as the Chapter Relations Chair. In 2015 Jacquelyn was the Special Events Chair, focusing on Tech It Out & WICT Philly Gives Back. In 2015 Jacquelyn received the honor of being WICT Philadelphia’s Communicator of the Year award recipient. Jacquelyn has also served as the 2012, 2013 & 2014 Co-Chair for Special Events, the Director of Volunteer Outreach for 2010 & 2011. In 2010, Jacquelyn was selected to participate in WICT’s Rising Leaders Program. Jacquelyn has also served as the Emerging Leader on the 2013 WICT National Board, focusing on Tech IT Out and STEM initiatives. 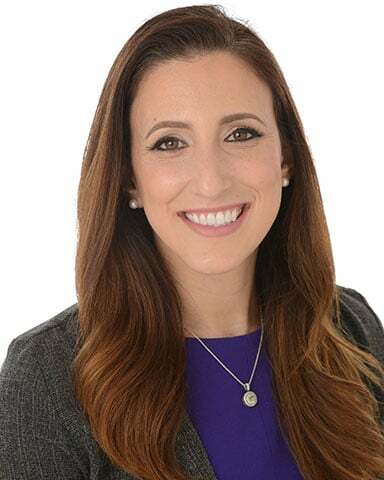 Kira Chrysczanavicz, Operations Chair of WICT Greater Philadelphia, holds a Director position primarily focusing on process efficiency, technology, and automation for Revenue at Comcast. It has been an almost 12 year journey for Kira with a variety of accounting and financial system based roles in the Eastern Division and later the National Accounting Organization within Comcast. The opportunity at Comcast began with a Staff Account role, and then Senior, in the former Easter Division in 2007. In 2011, Kira began helping the teams reorganize the accounting structure by assisting in hiring and training for the newly created National Accounting Organization. During the restructure she was promoted to Supervisor, where she led a team to manage the national telecommunication expenses as well as P&L activities centered on the Western Division. In 2012, Kira started her technological venture as a Financial Systems Manager, later Director, with a new team responsible for the National Revenue Share Application (NRSA). NRSA is an automated solution for Franchise Fee and Multi-dwelling unit payments equating to $1B annually. As her team grew so would her career as the next step in 2014 was when her team took on a $48B a year initiative to develop a new process to record Revenue by Customer Relationship (RCR). This enabled the company to begin to look at their customers from a fresh perspective. In 2017, Kira took a role closer to her roots as an Accounting Director to promote efficiency and offer a technological perspective for the Revenue team. Her latest endeavor is the systematic incorporation of the new Xfinity Mobile product revenue into the ledger by relationship. Kira will continuously strive for innovation in her career, but more importantly invests in her team and cross functional engagements. She is passionate about motivating through robust leadership and participates in the Women’s Network employee resource group at Comcast championing as a mentor. Kira is also an advocate for the Drexel co-op program partnering with Comcast as this year will be her sixth year participating. Prior to Comcast, Kira worked for a small telecommunications company where she worked directly for the controller helping them migrate to a forecasting model of operation. This accomplishment was largely related to her Bachelor of Arts in Economics from Mary Baldwin University. Outside of work, Kira has an array of hobbies from painting large scale artwork to writing her first novel, both of which come second to spending time with her family. Kira is the mother of five wonderful children, and cherishes each moment she is able to spend with them in their many adventures. This is Kira’s first year on the WICT Board and she is enthusiastic about what this year will bring! Kathy handles internal communications for the Strategic Intellectual Property group at Comcast. She is responsible for raising awareness of the Comcast patent program and recognizing inventors across Comcast/NBCUniversal for their achievements and milestones. Kathy manages the Comcast Inventor Incentive Program and is always finding new ways to motivate and recognize inventors!Currently, Kathy oversees the Philadelphia and Regional Programming for the WICT Greater Philadelphia Chapter. This is Kathy’s 8th year on the WICT Greater Philadelphia Board, having previously served in the areas of Operations, Sponsorship and Board Administration.Kathy has attended several WICT Leadership Conferences as well as both of the WICT Executive Development Series courses. She was also chosen to participate in the Comcast/NBCUniversal Know Your Value program in 2018.Prior to coming to Comcast, Kathy worked in real estate in Bucks County, PA. Born and raised in Philadelphia, she now lives in Montgomery County, PA with her husband and one spoiled dog. She loves to travel, cook, bake and exercise! Yvette Thornton is the Intellectual Property Manager in the Strategic IP Department of Comcast. As part of the Patent Development Team, Yvette works closely with Comcast Engineers and Senior Leaders to capture the innovation that is occurring at every level of the company. Yvette also serves as a liaison between the inventive community and the Legal Department. Yvette has been instrumental in developing the internal patent development process including establishing the Patent Review Committee and the Employee Recognition Program. Yvette also supports the acquisition team by performing due diligence research.Prior to joining Comcast, Yvette worked as a Patent Agent for Sedna Services where she managed a portfolio of over 1,000 active matters. Yvette also worked at the U. S. Patent and Trademark Office as a Primary Patent Examiner in the area of Photoresist Compositions.Yvette holds a Master of Science degree in Chemistry from the University of Virginia and a Bachelor of Science degree in Chemistry from Norfolk State University where she was a Dozoretz National Institute for Mathematics and Applied Sciences (DNIMAS) Scholar.Yvette lives in the Philadelphia area with her two children. She is an active supporter of the National Down Syndrome Society and sponsors a Buddy Walk team in honor of her daughter. Yvette is also a member of WICT, ACS, SWE and AIPLA. Lauren Schnatz, Communications Chair for WICT Philadelphia, is Manager, Experience Design Resourcing & Operations at Comcast. Her career began in cable when she joined Comcast in 2010 as the Project Manager for the X1 Design Team. The past eight years have been dedicated to advancing culture and function within XD while also focusing on improving the customer experience. Lauren has been with WICT since July 2013 when she served as Director of Information Technology. She has previously served on the Membership & Events Committee for the Women’s Network at Comcast. Lauren resides in Philadelphia where she likes to catch shows, paint, sew and indulge in wine & cheese. Gayle Erdosy is a product manager under the Strategic Initiatives unit of Comcast Cable Advertising. In her current role she manages the NPS program for Spotlight & Freewheel, overseeing training, communications, elevations and serving as liaison with Employee Engagement and Customer Experience teams. She was formally with Consumer Services and spent the first 5 years of her Comcast Career as an executive assistant, managing the CommTech Jeopardy program under National Customer Operations. She serves a mentor for Comcast’s ERG Mentorship Program and advisor to the Comcast Administrative Professionals, an employee group she helped establish in 2015. Gayle has been an active WICT member as a participant and volunteer for over 8 years. She received her B.A. in Political Science from George Washington University, and lives in the Philadelphia suburbs with her husband and 2 children. Jacqueline Means is currently an Accounting Supervisor for Government Programs for Comcast Business. She has over 5 years of corporate accounting and finance experience, with her focus being on data analytics. 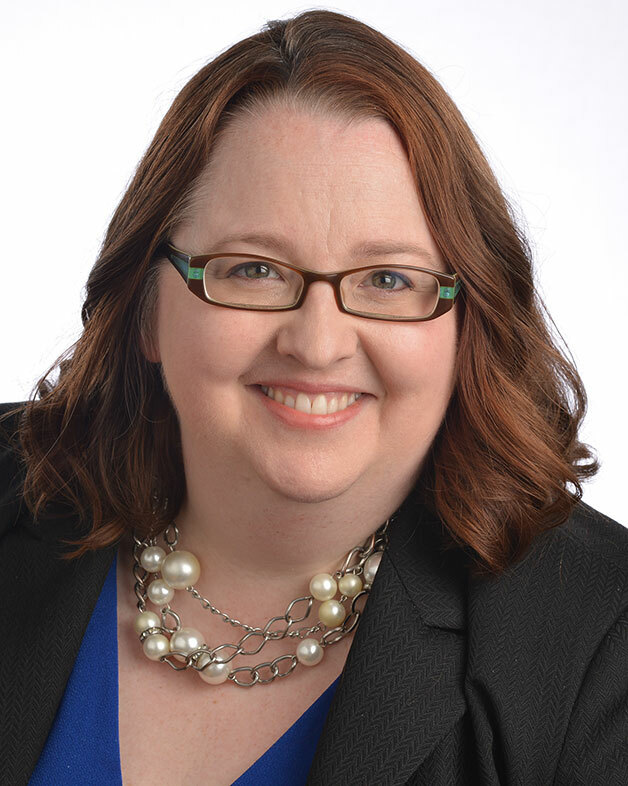 She currently oversees the calculation, application, and reconciliation of several business funding programs, along with their invoicing, and reporting. In addition to these she focuses on creating automation and job aids for the team, as well as participating in the training process for all other parties involved in the programs, and is on the leadership team that helps to promote employee engagement and job satisfaction. Jacqueline received her undergraduate degree (BBA) in Accounting from Temple University. Currently Jacqueline is enrolled in the Villanova School of Business MBA Program and is specializing in Data Analytics, and MIS. Her current interest include travel, reading, and hiking. Elizabeth has been with Comcast Cable for almost 2 years as a Financial Analyst supporting Business Operations. In this role, Elizabeth is responsible for supporting Capacity Capital, Long Range Planning and various strategic initiatives pertaining to Network Capacity. As co-treasurer, Elizabeth plans to leverage the experience she gained while working on Comcast’s Financial operations teams. Elizabeth moved to the Greater Philadelphia area to start her career in Finance as an FP&A Analyst for ACME Markets, supporting 150+ stores. Elizabeth is originally from Cleveland, Ohio. She has been making her way east over the past 6 years- stopping in Pittsburgh where she graduated from The University of Pittsburgh with a B.S in Finance, and settling in South Philadelphia upon graduation. Wendy Crocker is part of the National Accounting Organization at Comcast where she oversees the accounting processes for many of the Headquarters Cable Business Units as well as centralized processes done on behalf of the Cable Divisions. She is responsible for effectively communicating information between management, her team, the various Business Units and the Divisions in order to ensure accurate and timely reporting and analysis each month.Wendy is a native of New Hampshire, where she initially joined Comcast's Northeast Division Finance & Accounting team as a Senior Accountant in 2006. She relocated to the Philadelphia area in 2011 as a Supervisor in the National Accounting Organization, and was recently promoted into her current role as Manager, Accounting & Finance.Wendy has been a member of WICT since 2009 and received Protégé of the Year for the New England Chapter in 2010. Since joining the Greater Philadelphia Chapter, she has served two years as Vice Treasurer for and is currently entering her second as Treasurer. Wendy has an MBA and MS in Accounting from NH College and currently lives in a small town northwest of Philadelphia with her husband and 2 sons. Nidhi joined Comcast Business in 2018 after having worked in various groups throughout the organization, including the National Care Organization, the Comms and Data Business Unit and Customer Experience Teams. In Comcast Business, Nidhi works closely with HQ product teams and the Division Project Management Organization – facilitating the planning and deployment of various HQ product and program launches throughout the Divisions.Nidhi joined WICT in 2016 and served as the program manager for Tech It Out in 2016 and 2017, Co-Communications Chair for Philly Gives Back in 2017 and Co-Membership Chair in 2018. She plans to use her experience in engaging women, as well as students and men, to attend WICT events as Co-Membership Chair.Nidhi earned a B.S. in Accounting and a B.A. in Communications from Penn State University.To contact, please email Nidhi_Desai@comcast.com or reach out via LinkedIn. Since joining Comcast Spotlight in 2009, Lauren Blevins has worked in a number of roles across the company. In her current role, she is the Supervisor of Local Traffic Operations where she is responsible for ensuring operational plans are aligned with business objectives. This includes but is not limited to managing an operations team of six coordinators by providing leadership, communication, technical expertise and operational integration across the New York and New Jersey markets.Originally from New Jersey, Lauren relocated to the Philadelphia area to attend Temple University where she obtained her Bachelors of Business Administration in Marketing. She later received her Masters of Business Administration in Business Management from Amberton University. An active member of Women In Cable Telecommunications (WICT) since 2012, Lauren has attended and volunteered at many events prior to joining the board in 2017 as Membership Director. Additionally, her passion for marketing communications, building relationships and planning is furthered as she also serves on the board of directors for Harambe Social Services, Inc., a New Jersey nonprofit organization established to provide technical assistance, education and support to victims of domestic violence.Lauren is also active in a number of organizations across Comcast and Philadelphia including the Philadelphia Chapter of the American Marketing Association (AMA), the Young Professionals Network (YPN), the Black Employee Network (BEN) and the Women's Network at Comcast. Currently residing in Philadelphia, in her spare time Lauren enjoys reading, traveling and spending time with friends and family. Mindy Yablonski is a Senior Program Manager with the College for Technologists in Comcast University. Based in Philadelphia, PA, Mindy is responsible for designing, developing and implementing strategic learning initiatives for Comcast’s 6,000 person plus engineering population, both in the US and abroad. Mindy started her career at Comcast with the Comcast Spotlight division in July 2009, and has been an active WICT member and volunteer since 2010. Mindy holds a Master of Science degree in Organizational Dynamics from the University of Pennsylvania, and resides in Philadelphia with her golden retriever, Jack. Mary Eldridge has been working on the Business Development team for Pureintegration for the past 2 years. Prior to joining Pureintegration, Mary opened the Comcast account for Partners Consulting, a staffing company based in suburban Philadelphia. Mary began her career at Comcast and from there moved over to the programming distribution side of the business working for The Learning Channel. After TLC was sold to Discovery, she was hired by Starz which was then a start-up to work with Comcast, Time Warner Cable, Cablevision and other MSOs in the Northeast. After moving back to Philadelphia from New York, Mary was hired by TV Guide On Screen, which was the first interactive program guide, to work on distribution with East Coast cable operators. In all of these roles Mary was responsible for distribution within Comcast, Time Warner Cable, Cox, Cablevision and Suburban Cable (now Comcast). While raising her three children, Mary had a consulting practice whose clients included Starz, Suburban Cable (Comcast), Cable In The Classroom, TLC, SEGA Channel and The Weather Channel. Mary is married with 3 children, Jack, Sophie and Christopher and lives in suburban Philadelphia. In her free time, she enjoys hiking, skiing, training their new puppy and spending time with family. As senior manager of communications for Comcast NBCUniversal’s Community Investment department, Julia Reusch is responsible for telling Comcast NBCUniversal’s story of social impact. Prior to Comcast, Reusch worked in various community relations positions at Allstate, including managing the national strategy for agency local presence and serving as a corporate spokeswoman. Before making the switch to corporate communications in 2011, Reusch worked in television for 10 years — as a director for reality shows such as Animal Planet’s “Tanked,” a sports producer helping to launch SprinTV, and as a news reporter and producer, earning a Peabody for her role producing WSLS-TV’s coverage of the Virginia Tech shootings in 2007. Sara Murphy is a Sr. Manager of Corporate Compliance in the Legal Department at Comcast. Sara supports the rollout and implementation of various compliance program fundamentals. In particular, she assists with the management of Comcast’s “Do What’s Right” mandatory compliance and ethics training program and develops employee communications designed to promote an organizational culture of ethics. 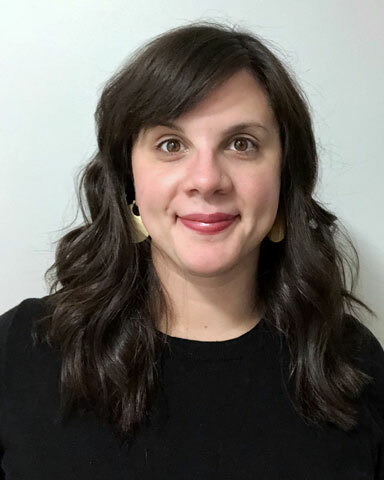 Sara also serves as the Compliance Lead at Comcast Spectacor, managing the compliance program, including such initiatives as policy implementation, integrity training, employee communications, and compliance risk management. Prior to joining Comcast, Sara was a Project Manager in Marketing Operations at Shire Pharmaceuticals. Her work concentrated on leading initiatives associated with the highly regulated review, approval and management of promotional materials used to market Shire’s products. Sara was a participant in the 2016 WICT Rising Leaders Program. She received her B.A. in Mathematics from Boston University and her M.B.A. from Temple University. Carolyn Kendrick has been nominated to the WICT Greater Philadelphia Chapter Board to Direct our Philly Gives Back Event coming up in November 2019, she has successfully run our 2017 and 2018 PGB events in the past.Currently Carolyn is a Sr Program Manager at ARRIS Global Professional Services, in this role Carolyn is part of the Strategic PMO and supports the Comcast Portfolio of Programs. Carolyn is a strong supporter of both WICT and Girls Inc. among other STEM programs and has more than 16 years of Cable Industry experience.Carolyn has a varied background in Technical Program and Change Management as well as process engineering. During her time as a member she has also served as PM for the WICT Philly Tech It Out Event in 2016 among other volunteer position she has held within the chapter over the 10+ years of membership.To contact please email Carolyn.Kendrick@ARRIS.com or reach out via LinkedIn. Teresa is an Executive Director, EBI Stewardship and has been with Comcast for 11 years. Throughout her time with Comcast, Teresa has been a part of three divisions and for the past 5 years until present Teresa has been a part of the Xfinity Consumer Services, Enterprise Business Intelligence (XCS EBI). In her role, Teresa leads the Stewardship organization within the Data Management umbrella focusing on Enterprise data, cross partnership and collaboration amongst business units and technology teams. Teresa is a mentor through the Mentorship Employee Resource Group at Comcast.Teresa enjoys spending time with her husband and 2 children. They enjoy going out to eat, taking walks and traveling. Teresa also enjoys partnering with her husband with business decisions and planning for their restaurants and pizzerias. Michele Corsini serves as the Senior Director of Solution Management for Comcast Technology & Product Development organization. She is a seasoned Telecommunications Business and Technology leader with more than 18-years’ experience streamlining business processes, delivering enterprise scale programs that align business objectives with technology solutions.Michele has held various roles since joining Comcast in 1999, and has over a decade of experience successfully leading, designing and implementing information, reporting, and analytical solutions for many successful initiatives to improve customer experience, increase revenue and decrease expense.When not immersed in “data”, Michele enjoys home redesign projects and spending time with her husband, four children and two dogs; they like to travel and are involved in sports. Chelsey May is a User Experience Designer on the Experience Design team at Comcast where she is responsible for the visual and production design of many of their products, including the XFINITY Stream App. Over the past seven years with Comcast, she has worked on a variety of projects including, XFINITY Share app, TV Go app, marketing communications, Einstein, and all platforms of the X1 Entertainment Operating System. She is a member of the Women’s Network and Young Professionals Network at Comcast. 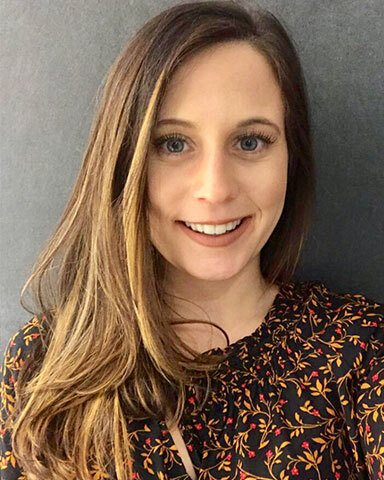 Chelsey joined the WICT Greater Philadelphia Board of Directors in August 2015.Chelsey holds a Bachelor of Arts degree in Visual Communications and a minor in dance from Salisbury University. In her spare time she enjoys exercising, going to the beach, traveling, dance, gymnastics, crafts and watching sports. Chelsey resides in Clarksboro, NJ with her husband. Dan Park is a senior user experience designer on the experience design team at Comcast. In his role, Dan focuses on product enhancements and maintenance to the Xfinity X1 platform for the multicultural consumer.Dan joined Comcast in 2015 and has worked on many projects including Spanish menu navigation and content discovery. He is also a lead on the LGBTQ consumer strategy and programming - helping to launch and maintain the LGBTQ Film & TV collection on X1 and native. Dan is also a member of several Employee Resource Groups at Comcast.Prior to Comcast, Dan has worked in ecommerce, pharmaceuticals, and marketing. He is a graduate of Philadelphia University, where he majored in Digital Design and currently resides in Philadelphia. Czarina is a Senior Consultant in their Advisory Services practice, primarily focused in the Telecommunications, Media & Entertainment, and Technology industry. She has spent the last 3 years in the telecommunications space working as a technical business analyst. 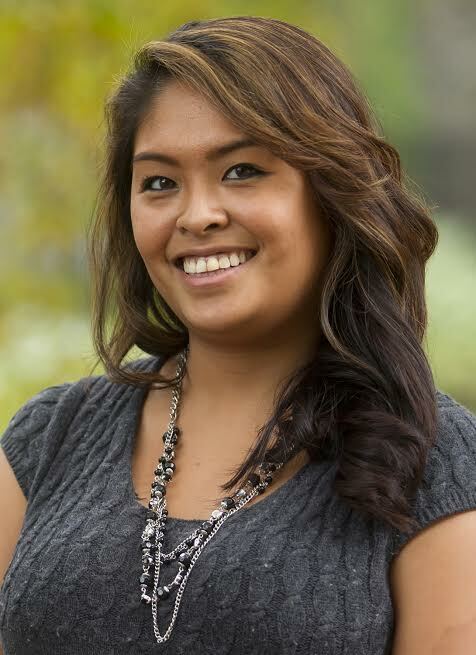 Czarina graduated from Temple University in 2013 with a Bachelors in Management Information Systems. Czarina joined WICT in 2016 and has spent the last 3 years volunteering across multiple events including Tech it Out and WICT Philly Gives Back. Czarina served as the program manager for WICT Philly Gives Back in 2017 and 2018 and she now sits on the Junior Board for Programming. In her spare time she enjoys cooking, traveling, watching sports, and spending time with her family and friends. Kate Ricci is a senior user experience designer on the experience design team at Comcast. In her role, Kate focuses on product enhancements and maintenance to the Xfinity X1 platform. Kate joined Comcast in 2014 as part of the Einstein team working on agent-facing applications before moving to Stream App and the customer-facing side of Comcast. An advocate for social justice, Kate organizes quarterly trips for the XD team to volunteer with Philabundance, She is a graduate of Moore College of Art & Design, where she majored in Graphic Design and currently resides in Philadelphia. Danielle Bonner is a Senior Financial Analyst who supports Comcast’s Technology Product Xperience (TPX) group. In her role she conducts financial planning and analysis for the Next Generation Access Networks team. Her primary focus is on developing forecasts, budgets, and long range plans that align with TPX business and financial objectives. Through ongoing financial analysis and communication with business partners, she is able to help leadership identify areas of risks and opportunities in order to best prioritize funding and execute on challenging initiatives. Prior to joining Comcast in September 2017, Danielle worked for public accounting firm KPMG in their Global Mobility Services group. Her combined consulting and FP&A experience give her insight into global mobility, international tax issues, financial operations, client and business partner relationship management, and P+L and capital management. Danielle earned a BBA in Finance from Temple University and currently resides in Philadelphia. Dana Harper is currently a Supervisor on the Finance and Accounting team in the Comcast National Accounting Organization. In her almost 8 years at Comcast her responsibilities have included account analysis/account reconciliations (including centralized accruals), cultivating relationships with other business partners outside of Finance & Accounting, and volunteering for software user testing projects. She is very excited as her role has recently transitioned to include more of a technical flair in supporting the end users of accounting systems in the NAO. This includes maintaining the master General Ledger code mapping, implementing new teams into the account reconciliation tool, validating user access requests and hosting weekly/monthly status meetings. Additionally this role adds new International Payroll analysis responsibilities and business partner relationships. After joining WICT in 2012, she became a regular volunteer at events which proved to be a key stepping stone to her joining the WICT Board. She is originally from Connecticut, and has made her way to Philadelphia by way of primary school in Papua New Guinea, high school in Germany, and college in New York and Ohio. She and her husband currently live in Center City Philadelphia and are taking advantage of the different adventures the city has to offer. She enjoys spending time with family and friends, and is a humongous football fan - Go Eagles! !